Middle school age children, (commonly referred to as "tweens") tend to get a bad rap. I know this because when I told others adults that I was a middle school teacher, their first response was ALWAYS the same..."WHY? ", followed by a look of complete disgust. My daughter is now doing her student teaching at a middle school, and the response has not changed. So why is this age group met with such negativity? Because tweens are in an age of change. We all remember the angst and hardships of being that age. If we take time to think about it, we can remember that being a tween means being caught in an age of self doubt; not knowing when we are supposed to act grown up, or still be a kid. Tweens think that others are always judging them, because they constantly observe and judge others. 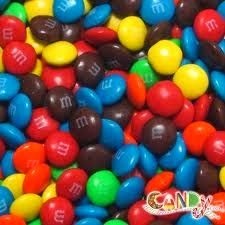 I contend that tweens are like M & M candies. They have a hard shell on the outside, but the sweetness of childhood still exists in the middle. Remember the shell is protecting the sweet stuff, but it is there. So what can parents do to navigate their way through the "tween" years with love and support for their child? Here are my suggestions. 1. Continue to set limits: Tweens become masters at manipulation. They have had lots of years to learn how to push your buttons, and they are eager to test any and all methods in order to prevail. Stay strong. They do not show that they like you being "the boss of them", but truly they pity the kids who have no parental limits, because they know that those kids' parents are not doing their job. 2. Listen: Tweens want you to understand their lives, but may not always be in the mood to share. Investigate what circumstances help your child open up. Maybe they talk while riding in the car, maybe while walking the dog, maybe before they head to bed; whenever it happens, make the conscious decision to listen and be present-and encourage them to open up to you. When you are listening, try not to criticize or tell them what to do. Just listen and answer questions when they ask them. This will help you to build a solid foundation of healthy communication over time. 3. Don't Criticize Their Friends: Peers are extremely important at this age, and they are struggling to find friends who support them. If you have concerns about certain kids, have them to your house where you can monitor and influence their behavior. And encourage your child to widen their friendship circle. But don't spew negativity about peers that they connect with. Of course, if they get into trouble with certain peers, you must tighten the circumstances that they can socialize with those individuals. Keep in mind that they need at least one friend, and do everything in your power to support them as they look for that special someone who can relate to them. Some children will need help in this area, and others will not. Friendships are so important to tweens, but tend to have ups and downs in these tumultuous years. 4. Monitor Their Online Activity: Social media allows your kids to connect with others day and night. Therefore, you need to set limits and teach them about the dangers of being online. That is your job. Don't allow phones or Ipads or computers to be in their rooms, unmonitored for use at their discretion. It is your house, and you set the rules. Have them give you their passwords and only allow online activity if they follow the house rules that you put into place. This is the most respectful and reasonable way to handle online activity. If you are too hardline about these issues, your kids will find ways to sneak around behind your back, by creating false names for Facebook, and the like. They love to be sneaky at this age, so you must find a way to set limits while helping them to understand that is your intention to keep them safe. Again this all takes healthy communication skills. 5. Emphasize the Importance of Family: Make sure that your children know that you love them unconditionally and you expect them to do the same to their siblings. Help them to understand that having strong relationships with your family is something they will have forever, long after middle school is over. Plan fun activities to do as a family and have set times during the week that you reconnect with one another. Our family always attended Sunday morning Mass and then went out for brunch. This schedule was a time that our family was able to connect with one another and it really worked to strengthen our family bonds. 6. Find One Positive Activity: Children at this age need to experience success in some area of their life. Help them to discover their talent, whether it is through playing a sport, and instrument, volunteering, being a member of a scout troop or starting a small business of babysitting or lawn mowing. Help them to feel accomplishment and pride about who they are and what they will become. Parenting a tween can be very challenging. But stay strong, keep your cool and remember that this stage, like all others will soon pass. And remember that the sweet side of your tween is just buried at times, protected by a hard but very thin shell! Many years ago a friend came to visit me in our first house. My husband and I had spend countless hours redecorating, scraping wallpaper, picking out carpeting, light fixtures, and paint colors. I was proud of our home but as I was giving a little tour of it to my friend, I realized that the ugliest room in the entire house, (the second floor bathroom) had been left untouched and remained papered in the horrible brown foil wallpaper that the previous owners had chosen. 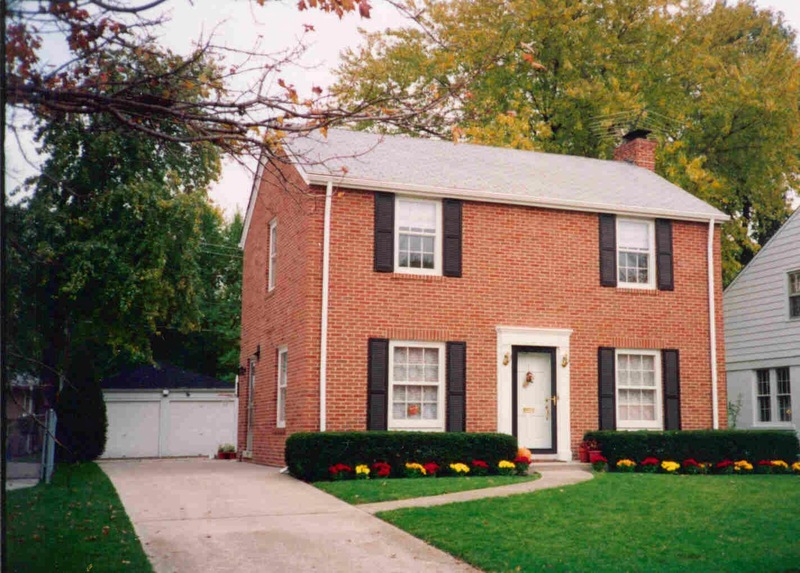 By this time, we had lived in the house for over two years, and had virtually redecorated every other room. As I commented this to my friend, she remarked that she too found it easy to become "house blind" to things that you disliked but simple got used to, or forgot to focus on. So why am I sharing this story on my parenting blog? Here is why. Many parents have a habit of becoming "kid blind" to behaviors in their children that might warrant some attention. It happens because we carry around all of the memories of our children as tiny, helpless, dependent creatures that rely on us for everything. But in reality, kids grow up fast and are remarkable capable and resourceful. As a teacher, I am reminded of this each day at preschool. My little three and four year olds sit at our lunch tables. They pour their own juice from our childsized pitchers. They stay in their chairs until they are finished eating, and then they know what to do. They clean up their mess and return their lunch box to our lunchbox laundry basket. But I am sure that many of their parents would be surprised to see how uneventful meal time is at school, versus what they deal with at home. I know that children behave differently in different environments, and I only share this story to illustrate the capabilities that exist within our children. The task is up to us, the parents to take the time to thoughtfully evaluate where improvement is needed and then develop a strategy to foster development in that area for your child. Does your children play nicely with others? Does he/she use simple manners when receiving a gift or eating a meal? Does your child exhibit self control when he/she must wait for your attention? These are just a few common areas that sometimes are overlooked by parents, when some attention is needed. Taking the time to teach your child social and emotional skills will allow him/her to grow in confidence and be able to foster relationships with teachers, coaches, and peers more successfully throughout the coming years. And this is a very good thing!